Lisa Larson is a Swedish artist, she is well known by designing ceramics. 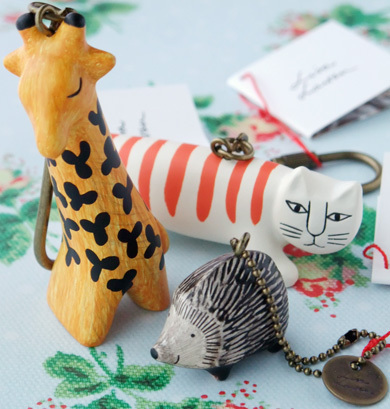 Her cute animals became mini charms. And they are made from PVC, I can go out with them! Yay, I’ve seen these on a few Japanese blogs but it seems we don’t have them in Sweden. yeah! Maybe these are “license” products for Japan only… I saw your site, great! I love your site and it was so nice to see some swedish items on it as weel. Nice work!